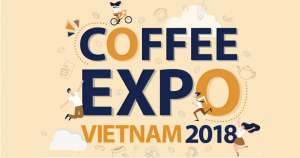 Coffee Expo Vietnam 2018 is a perfect “catwalk” for everything related to coffee, tea and pastries, from raw materials, to machinery and equipment as well as supportive products and services. Occurring throughout 3 days of the event, the forum will provide various insights with high applicability in Vietnam for all the audience in the exhibition. – 1st Topic: Overview of China’s coffee market development through big data: The coffee market in the world’s most populous country is growing faster, hotter and more drastic. Joining the market are global brands and niche-oriented local brands. 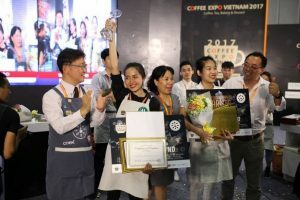 – 2nd Topic: Our champion road – the Chinese-Vietnamese champions’ sharing: Barista is not just a waiter/waitress, they are the soul of any store. – 3rd Topic: The past and future of China & Intelligent Manufacturing: Intelligent Manufacturing will optimize the materials’ value, increase product quality, and minimize waste to the environment without compromising the quality of service. 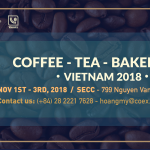 – 1st Topic: From the coffee cultivation to see the market development – China-Vietnam coffee origin cultural exchange: From 2007 to 2011, China imported more than 137,000 tones of coffee, and 75% came from Vietnam. – 2nd Topic: Exchange and sharing of Chinese and Vietnamese coffee roasters: China is evolving into a Coffee exporting country. Meanwhile, Vietnam is still struggling with low product value. + Nguyen Hai Ninh from The Coffee House. + Phạm Tan Toan from Chamichi. + Tran Nhat Quang from La Viet Coffee. + Ho Pham Minh Duy from The Married Beans. + And 2 Chinese founders with more than 200 stores under their supervision. – 1st Topic: Past & Present: How has Vietnamese Coffee changed? 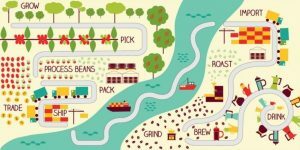 Roasting & Processing: How Vietnam adapt to specialty coffee? Specialty Coffee – the high-quality coffee beans that have extremely strict standards from soil, human procedures … is considered the best future of Vietnam Coffee. – 2nd Topic: Roasting technology in Coffee processing lines: Roasting giving coffee the characteristic flavor from the raw beans that only smell like grass. The roasting technology from Buhler will surely increase value for all production lines. VSBC 2018 is searching and training talented barista from all regions of the country. The winners will receive $ 2,000 in prize money and will be fully sponsored for the World Super Barista Championship, held in Seoul, South Korea in 2019. Barista today is not just any regular employee, they are the souls of coffee, the face of a brand and the talent that can bring value to the coffee industry. Witness the path to glory of our 2018 champion. 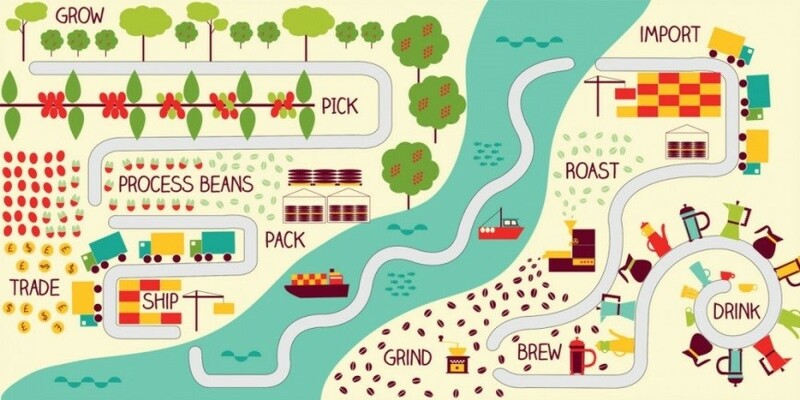 In order to ensure the best coffee to our customers, we have to trace back to the growing stages. Quality must be controlled at all steps, payments have to be made quickly to ensure the interests of the parties, countless communities around the world contribute to building a cup of coffee sitting on the customers’ table. Follow this wonderful journey at Coffee Expo Vietnam 2018. – How to make Sugar veil from A – Au school. – Present new drink made with Teisseire and coffee make from Nespresso from Annam. – All about Wagashi art from A – Au school. – Making tea and bubble tea with Luave from IDOCEAN – LUAVE – TEAESPRESSO – TAPIOKA. – Introduction to LongBeach Syrup and Creative beverage recipes for speed bar and cafe from Long Beach Syrup. – COFFEE CUPPING from IDOCEAN. – Glossy butter cream – Flower decoration from A – Au school. – Tea Training class from DO TEA. Coffee Expo Vietnam 2018 will take place from 10:00 to 17:00 in three days from 1-3 November 2018 at SECC, District 7, HCMC.